Oracle Forms & Reports 12c is released since a quite long time and I had now some chance to have a more detailed look on the Oracle Reports 12c component. The following steps are describing the necessary tasks for Linux. as next step we can create our Reports Server. 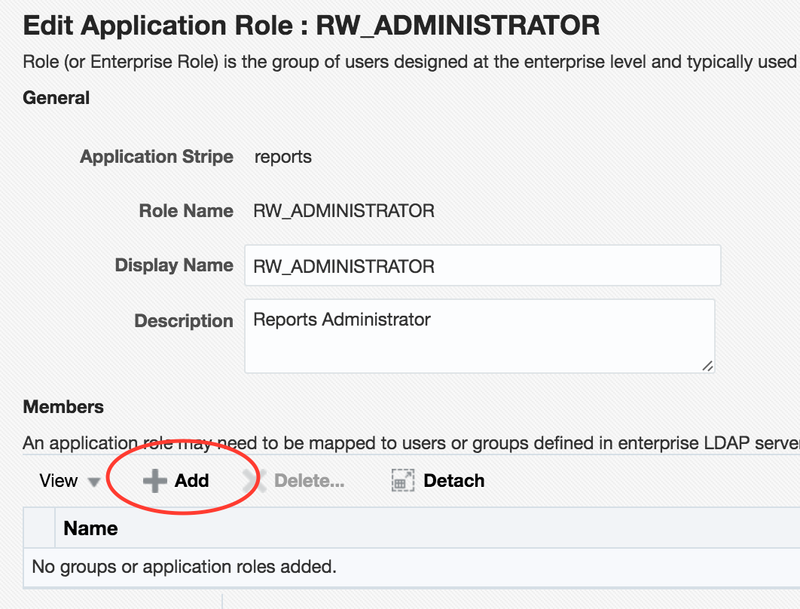 At first you need to login to the Fusion Middleware Enterprise Manager, normally http://<your_server_name>:7001/em and access under the menu "Security / Application Roles"
Very helpful as the manual is useless about this step. I am on RHEL 7.2 can you please guide me. We are installing Weblogic Cluster via Golden Image from OEM which delivers a Weblogic setup consisting of 5 servers consisting of 2 OHS , 1 Admin and 2 managed server forming a cluster , all part of a domain. 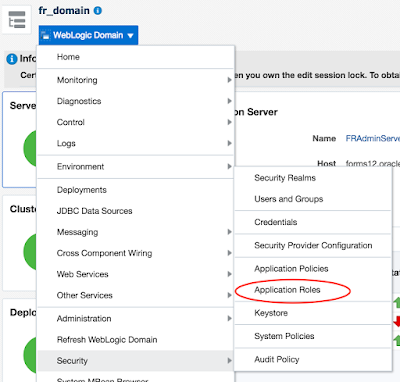 Now on this above setup i need to install Forms and Reports, for installing forms i need to create domain but here i already have one standard Weblogic domain. So my thought is can i install the Forms and Reports installer and update the existing domain with forms component. Will that work ? It would really helpful if you can throw some light on this scenario. yes, its possible when you have a WebLogic Domain which you want to upgrade with Oracle Forms & Reports. 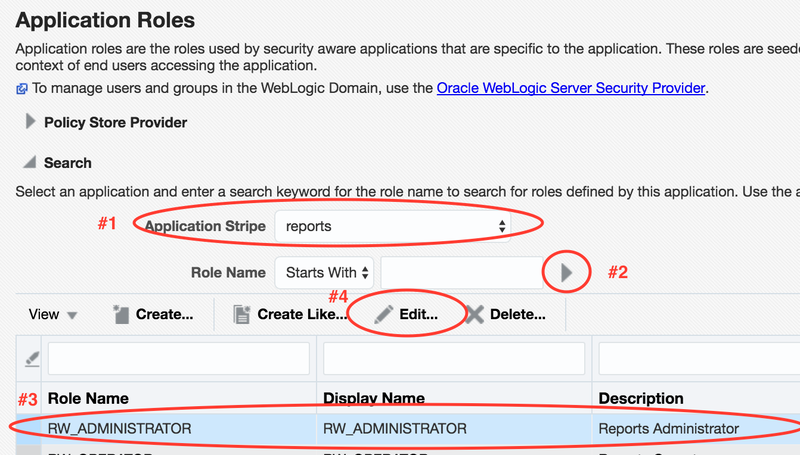 You will need the Oracle WebLogic Infrastructure Version, not the "normal" WebLogic. 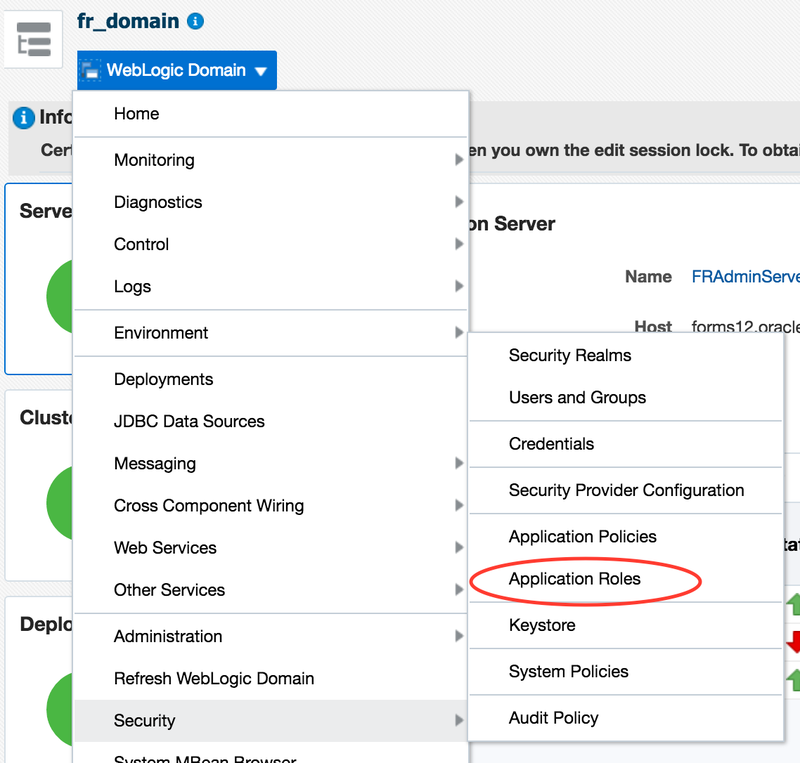 Install your WebLogic Infrastructure, configure a simple Domain. 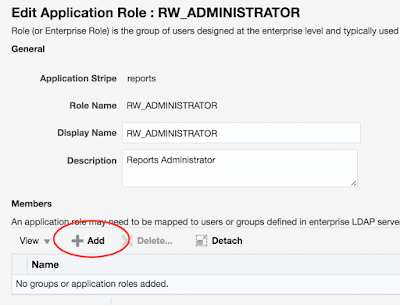 After that install the Oracle Forms & Reports Software over your Oracle WebLogic Server Infrastructure Software Home, then execute the rcu to create the required MetaData Repository for your Oracle Forms & Reports. 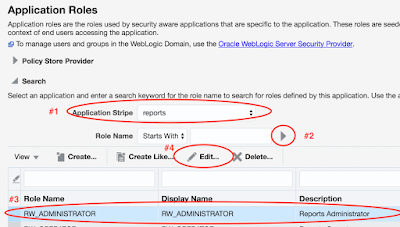 Finally you can execute the config.sh from $ORACLE_HOME/oracle_common/common/bin to upgrade an existing WebLogic Domain.